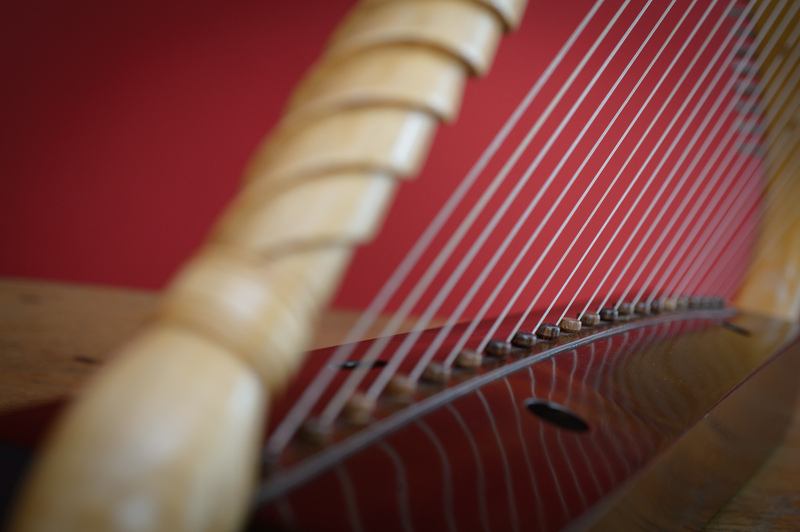 Harps have a great power to self-destruct. The oldest fragment we know intact dates from 15th centruy France. Everything earlier needs to be reconstructed. From pictures and illustrations we can get information about size, construction, number of strings etc. 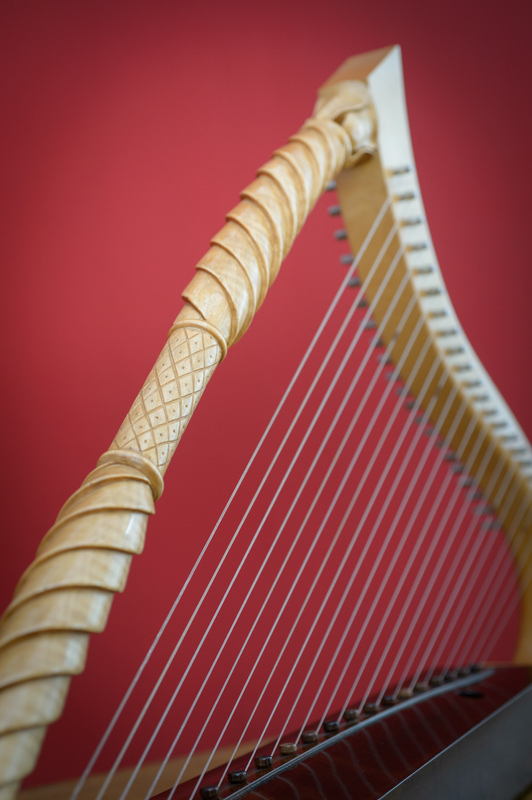 A 12th or 13th century instrument should have 12 – 15 strings. That number would be absolutely sufficient to cover the musical needs of the Troubadour and Minnesinger repertoire. 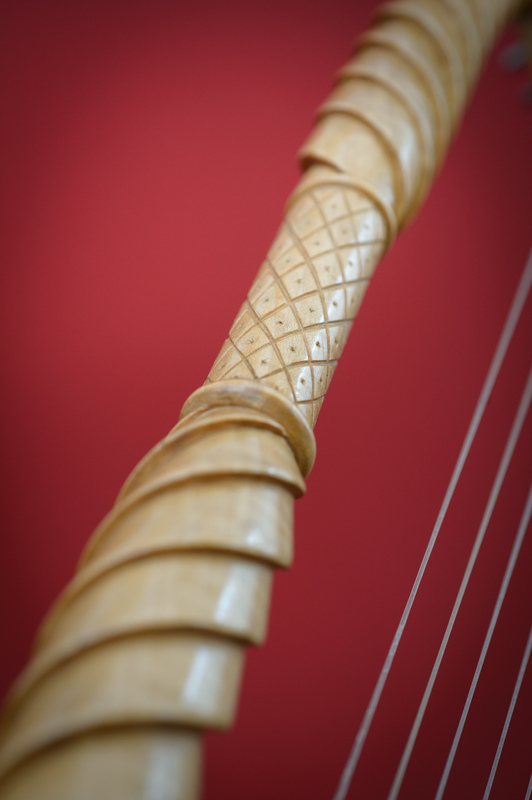 Interesing about this manuscript is a second illustration called 'Cythara Teutonica' an old fashined Alamanic lyre with six strings of the same length. A nice contrast between English and German musical instruments. 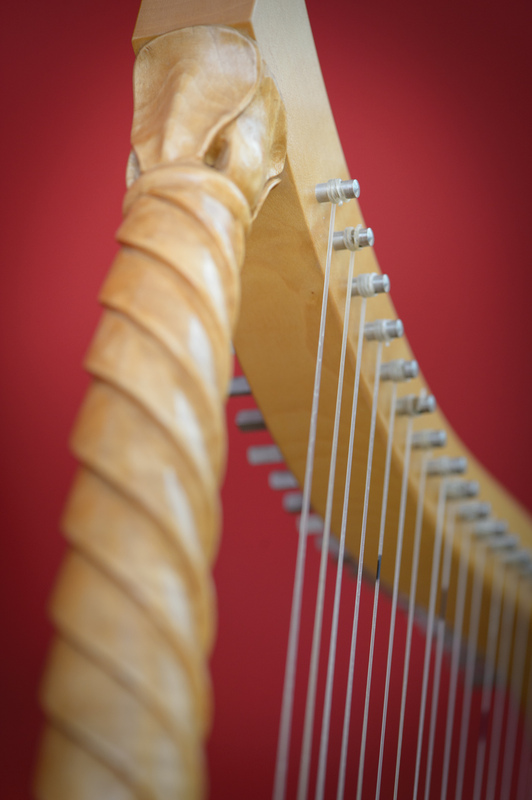 This Romanesque harp is an instrument with a dug-out body strung in gut. 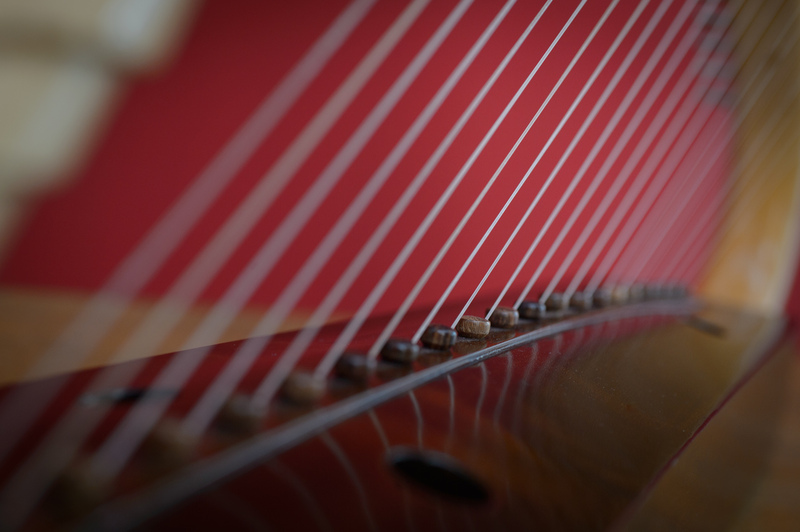 It is a somewhat old fashined reconstruction with far to many strings but it has carried me without fail trough my medieval programs.